Stefan Joubert is now accepting appointments for classical guitarists in London. If you are a classical guitarist now or want to be one, and you are looking for some excellent training in London, now is the time to reserve a place with one of the leading classical guitarists in the field, Stefan Joubert. 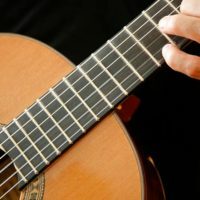 Stefan runs the London Guitar Institute in London and is now accepting students who want to start or improve their knowledge and skill level with the classical guitar. The classical guitar courses in London are designed for each level of skill: beginner classical, intermediate classical, and advanced classical. Classical guitar courses in London have never been offered like this – with lessons designed for the individual, taught by a renowned master player and teacher, held in convenient locations, and reasonably priced. Stefan has worked under master guitarists himself, including Johnny Fourie in South Africa. In the world of classical guitar playing, Stefan knows all the variations of classical music and the rich history and cultural heritage that inspired it. Learn to play the styles some of the greats in the classical genre like John Williams (Australia), Ricardo Gallen (Spain), Eliot Fisk and David Starobin (United States), Pablo Gomez (Mexico) and Sanel Redzic (Bosnia and Herzegovina). There are many legends in classical guitar. Let Stefan introduce you to them and their styles. Stefan Joubert can bring this history of classical culture to you and help you feel the artistic nature of classical and all that it represents. As a classical guitarist in London, you will have a new appreciation of the genre. There are two locations for classical guitarists in London to take courses. Classical guitarists seeking courses in London should have the finest accommodations available to them. The London Guitar Institute is renowned as a first-class teaching and learning venue. 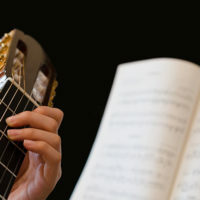 Classical guitar courses at the London Guitar Institute follow a path of progressions to enable you to achieve the skill level you need, working at your own individual pace. You will start with how the guitar works. You will learn the names of the strings of the guitar. You will learn how to hold the instrument properly. You will learn to practice with proper posture in line with the Alexander Technique. You will start with note reading and the importance of becoming a very proficient sight-reader on the classical guitar. You will memorise the guitar neck and the various notes as they relate to the musical score. Together, we will explore the left-hand technique – how to fret the guitar properly, how to do a proper vibrato, how to slur correctly and how to move from one position to another. You will then explore the right-hand technique. Together, we will take a look at different finger combinations – im and mi, ma and am, ax and xa, pi and ip, pm and mp, ami and ima and other combinations. You will learn the importance of practicing the right hand alone (separate from the left). And you will learn how to develop speed and agility with your fingers, tremolos and other advanced classical guitar techniques. You will discover the repertoire of classical guitar including – Francisco Tárrega, Agustin Barrios, Mauro Giuliani, Ferdinando Carulli, Matteo Carcassi, Fernando Sor, Gaspar Sanz, Leo Brouwer, Roland Dyens, Nitika Koshkin, and Carlo Domeniconi. You will then learn how to believe in yourself and become the classical guitarist you have ALWAYS wanted to be! You will learn how to master the fretboard and guitar repertoire to become an excellent classical guitarist! And finally, you will learn how to perform in front of a live audience and give a classical guitar recital. You will learn how to conquer your fears and really play the instrument exceptionally well! Stefan will give you the training and personal and professional advice that will be invaluable to you as you move up through the levels of skill and performance. And you will enjoy the exhilaration of having reached the level of musicality you desire. As classical guitarist seeking courses in London, you are eligible for training at the London Guitar Institute. Lessons take place weekly at set times and days. As an aspiring classical guitarist seeking courses in London, you have shown an interest in improving your craft. If you want to push yourself to the next level, even the professional level, you should have the best training available. Now is a critical time for you. Choosing the right instructor will make all the difference in the world. Take advantage of Stefan’s offer to teach you what he has learned. We look forward to working with you. Become a proud member of the London Guitar Institute, and we will help you become the classical guitarist you want to be. Contact us for more info about our classical guitar courses. We promise a prompt and personal reply within 1-2 working days. Learn and master classical guitar with the London Guitar Institute. 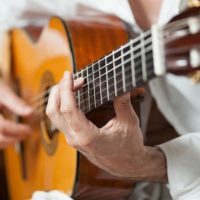 Learn how to read musical notation and develop a solid classical guitar technique and some basic repertoire. Are you an intermediate classical guitarist player looking to move unto the next level? How would you feel if you can finally play the classical guitar repertoire that you love with ease and confidence! Take your classical guitar playing to the highest level with the London Guitar Institute in central London.